You know what? I have a soft spot for Burson Audio gear. And that’s because 7 years ago I was publishing my absolutely first review on this website and that review was for my own Burson HA-160D. I loved that thing very much, it actually kickstarted my career as a reviewer. Later on I tested and written about their future designs like HA-160DS, Soloist, Timekeeper, about their powerful op-amp testing station Lycan and of course about Conductor. 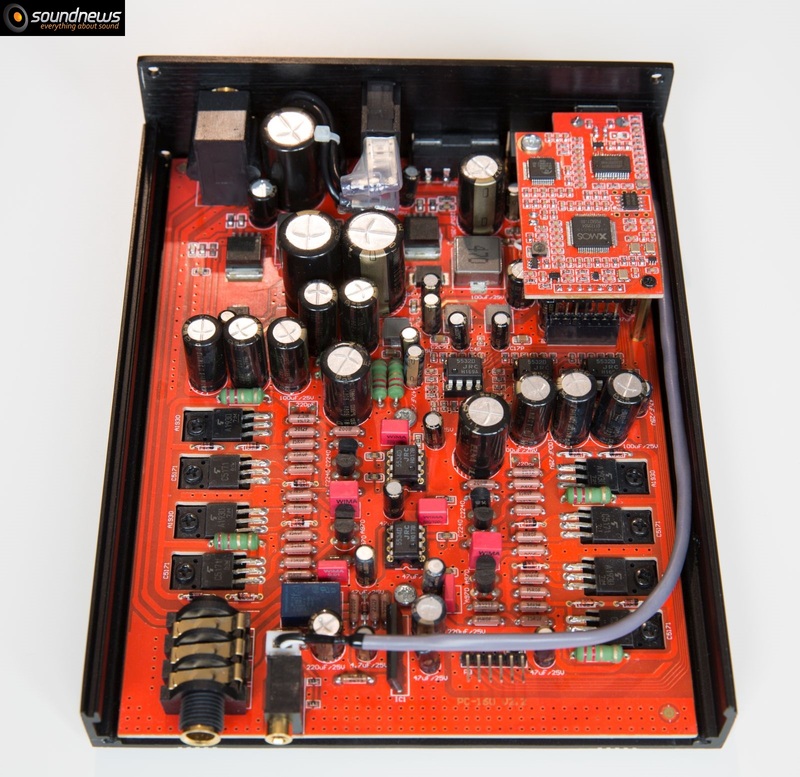 The later one I again purchased and used for the following years and it was my go to audiophile headphone testing machine just before moving into the balanced land with a separate balanced source and amplifier. My life was easier that time, much easier. I had my 160D and later my Conductor, two pairs of headphones and that was it. Sound was great; life was moving on, no worries about quality RCA cables or other quibbles. 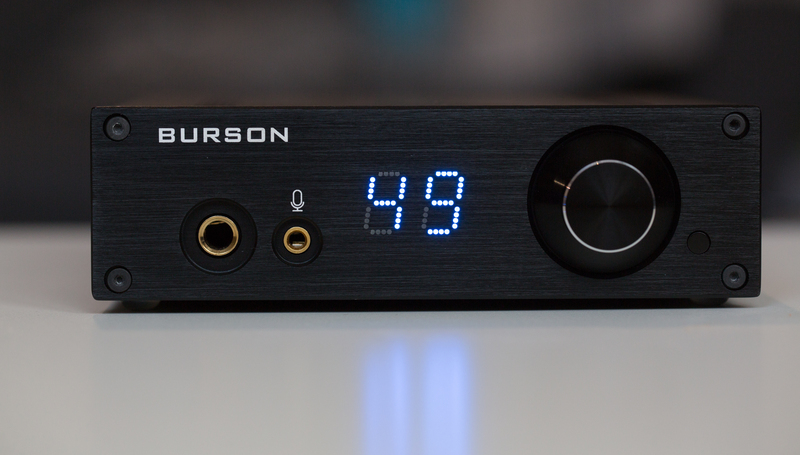 Fortunately Burson Audio was not sleeping all these years and released a plethora of new devices and I really do love their kind of back to the roots vibe, especially their new Burson Play is exactly that: a simple DAC and headphone amp combo. Besides the Play, Fun and Bang were also released; Fun is a dedicated headphone amplifier and Bang is an integrated speaker amplifier. Hopefully I’ll do reviews at least for two of those devices. For now my review is concentrated around the Play, which I was immensely enjoying for the last 3 weeks or so. It not only brings back good memories about inception of my career but I actually started to remember the Burson sound signature, if you are wondering if this type of thing really exists in the Burson family. As it’s name suggests Play have a very joyful and mood lifting sound signature designed not only for audiophiles but this time for gamers as well. Truth to be told I game myself too when time permits, I’m a Blizzard fan so I play mostly their Heroes of the Storm and Overwatch games. I will test the Play both as an audiophile hub powering my hungry planar magnetics and as a gaming audio source powering the same headphones. So what do we have here is a very good build DAC and headphone amp combo plus a dedicated preamp for a power amp. Please do not be fooled by its small-ish footprint. Actually its shape and design was made around the 5.25” PC drive bays, so Burson Play can be integrated in any tower gaming PC or in regular small, mid tower or full tower cases that have at least one 5.25” drive bay. In this case it can be powered by a single molex 4 pin cable that goes directly from your PC power supply and you really should not worry about the quality of your power supply because Burson already thought about that in advance and integrated a voltage regulator inside so that your PC’s power supply will have a minimal impact on sound quality. Play can also be used as an external device as I was planning to do, being powered by a simple SMPS external power supply. 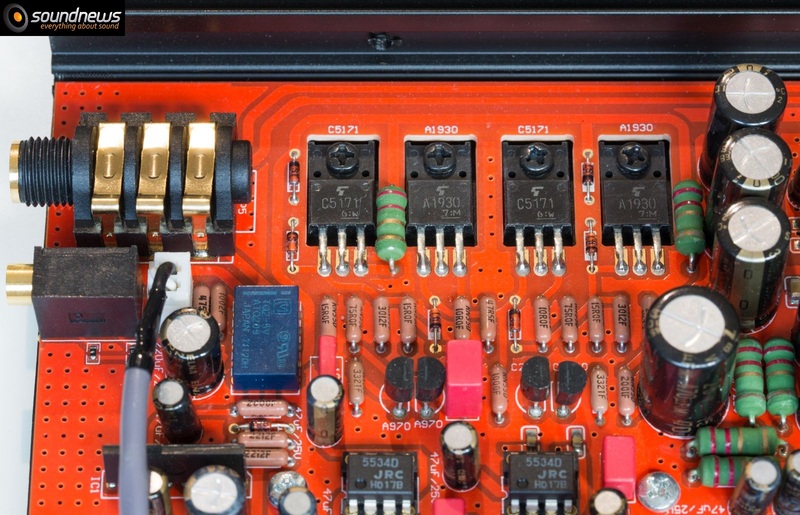 Under the hood the DAC chip used is the veteran ESS 9018 capable of decoding PCM material up to 32 bit / 386 kHz and DSD material up to DSD256 (DSD x4). The USB receiver is a quality XMOS one, gone are the days when I was losing USB connection due to poor USB implementations and drivers. XMOS is much easier to implement and sounds pretty good too, way to go Burson. Of course the stars of the show are the Burson developed ICs always working in the magical class A circuitry powering the headphone amplifier that are fed by three sets of revolutionary Max Current Power Supplies (MCPS) developed by Burson, the Play is really one of the most powerful headphone amplifiers in the world. And I can attest that, if it can power a set of Audeze LCD-4 and it did, then it can power any headphone in the world. Play as again its name suggests is an op-amp rollers dream as you can literally play with a ton of different op-amps and tune it to your liking. 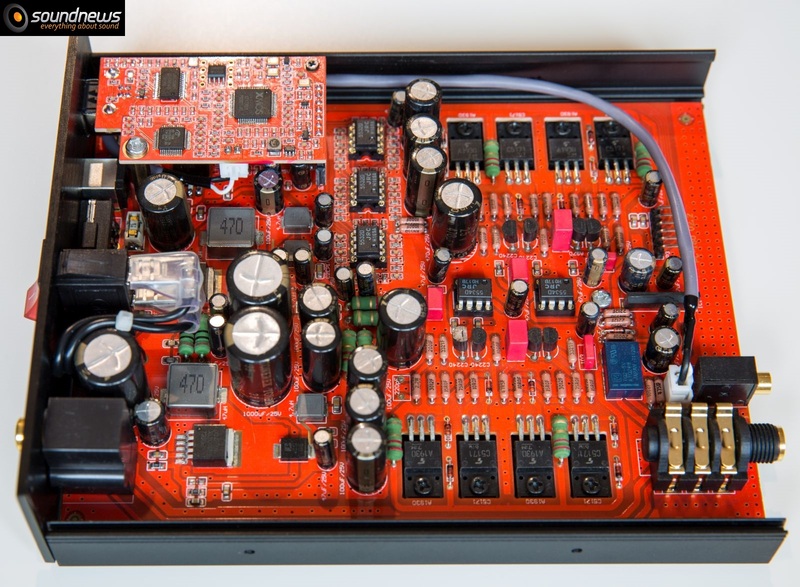 The Play is being sold in 4 variants: the basic one that uses NE5532 op-amps, the one that uses Burson branded V5i op-amps, the one that uses much more advanced discrete op-amps such as V6 Classic or V6 Vivid. The latter two are also offered with a heavy-duty remote control. I have the basic, skinny, Eastern-Europe friendly Play but please don’t worry, in it’s stock form it already impressed me enough. Lets get to the most interest part shall we. First and foremost I was a bit in awe that it can properly drive with authority with lots of headroom to spare a pair of Audeze LCD-4 and believe me that is not an easy task. At around 70-80 volume I can play even jazz and classical pieces with ease, past that and it becomes painful to listen. It surely has enough drive and power reserve for a vast majority of headphones. I have the latest revision (Rev 2.2) that also works great with IEMs. First revision had few problems with noise and clean background but I can safely say those issues are gone and it works as intended. My FiiO FH5 hybrid IEMs have a faint, low-pitched hum but only in complete silence, after I press play I cannot hear it anymore. In absolute terms there is a very slight hum but it is not something that should bother an ordinary listener. Powering the FH5 volume sits between 7 and 12, more than that and it’s painful, again it has a lot of power reserve. Output impedance is a bit high at 8 Ohms so low and ultra-low impedance headphones will have a looser sound with a weaker control over the drivers. Other headphones that were tested were Audeze LCD-4Z (the low impedance ones) and Sennheiser HD660S, both performed good with flying colors under all circumstances. Besides the power output that impressed me, this whole thing as a DAC/Amp works surprisingly well, the sound overall is clean and clear with a wide soundstage, with a great depth and great control over the headphone drivers. I almost forgot how good a small DAC/Amp can sound. 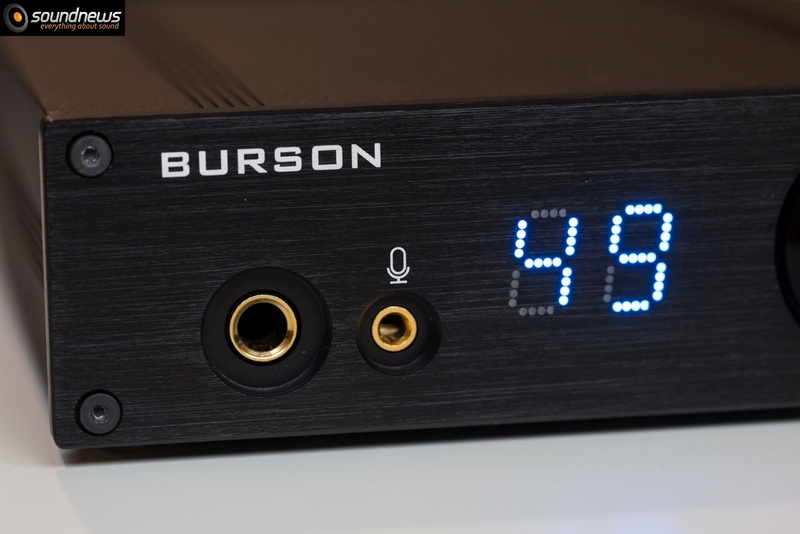 The Burson sound signature is certainly here because not a single hint of shrillness or brightness can be heard. I know there is an ESS Sabre inside it and still it sounds natural, easy on the ear with a good flow and a rich tone to it. And I am testing the basic version here; I’m already imagining how good the full-fledged V6 Vivid/Classic should sound then. What also made me happy is the revealing nature and easiness of every song heard on Play. I enjoyed all music genres with no apparent weaknesses whatsoever. Adam Agee & Jon Sousa – Paddy Fahey’s sounded incredibly natural, very enjoying, every little nuance in the song, like the soft toe tapping that moved so little air was easily heard, the mix of violin and guitar never seemed crowded or muddy. The midrange really shined on this song and I believe the strength of the Play is exactly in the midrange section where it shows lots of textures and meat to the bone. Lara Ruggels – Snowflake showed lots of depth around all the notes, an evenly spread soundstage and a natural tone to it. I believe Play have a quite good tonal balance showing not only a meaty and full of substance sound but also subtleties and micro-details hidden in the mix. The voices and guitars again sounded astonishingly good and there is truly nothing to reproach on this song. Moving on to something much more energetic like Infected Mushroom – Becoming Insane showed me the real strength of the Play and that is a strong impact into my eardrums and great speed and kick that it is capable of. It never stays out of tempo; it keeps up even with such a fast and crowded track. Pair the Play with a nice pair of planar magnetic headphones and a headbanging becomes inevitable on electronica. Layers and sub-layers of bass hit me, what’s why I believe the pace, rhythm and timing are on a high level on the Play. Although Burson designed the Play mainly for gamers, believe me with music it works really well, better than I anticipated. Moving on to W.A. Mozart – Serenade No.13 in G Major (Allegro) – showed a wide spread soundstage that I can walk by easily with my imagination, depth was also good, I was easily appreciating the distance between the orchestra and me. Trebles were crisp and biting without bothering me too much, so no harshness whatsoever could be found on all test tracks I tried it with. Launching Heroes of the Storm and Overwatch and activating the “headphone mode” made me appreciate my games even more because of great localization of my friends and more importantly of my foes. I’m actually lowering volume setting in those games because Play hits really hard on every shot or special effect and it distracts me too much with its strong kick into eardrums. 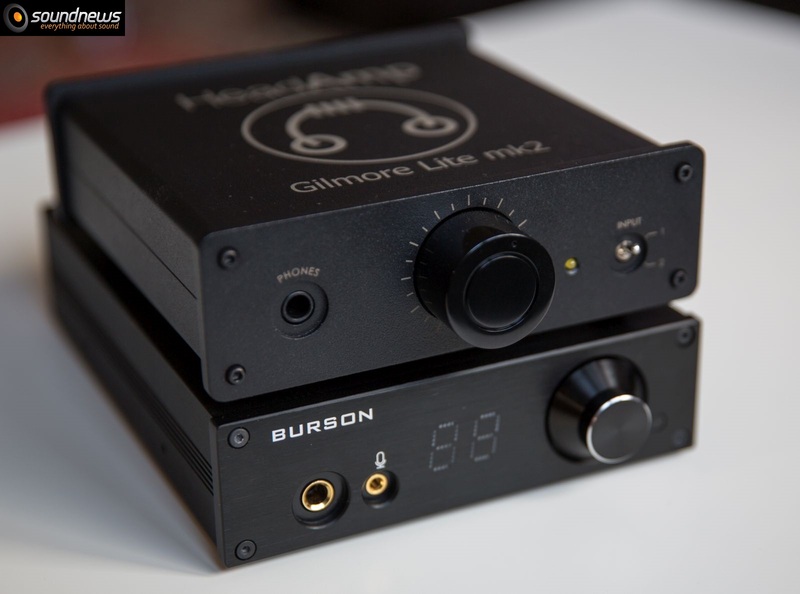 Burson Play Basic costs 300 USD and the HeadAmp Gilmore Lite Mk2 goes for 500 USD, also the Gilmore Lite is only a headphone amplifier without a DAC section, so its not a very fair comparison however its an enlightening one showing the true capabilities and nature of the Play. Both have the same footprint and both are working in Class A circuitry for the best possible sound quality. 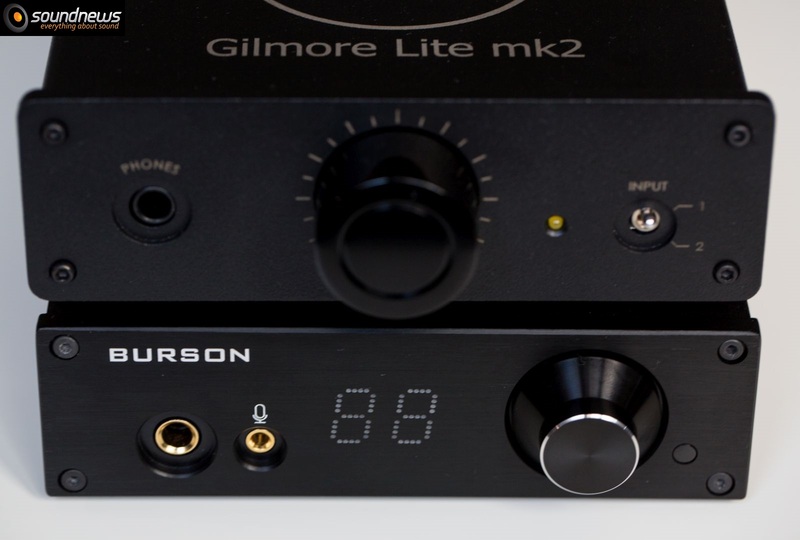 Burson Play has a LOT more power, at 70% volume it powers my LCD-4 and that is astonishing, Gilmore Lite goes out of power with LCD-4 and starts clipping and heavily distorting. However when powering very sensitive earphones like my FH5 hybrids, Gilmore Lite is much better having no hiss at all and also presents a better control over the drivers. For dynamic headphones, Burson will have a stronger kick and a somewhat more natural sound making every track easy to listen with no listening fatigue. Gilmore Lite however is like a magnifying glass showing every good or bad in a recording, it sounds also more linear and kind of boring sometimes and a bit fatiguing due to its very revealing nature. So in the end it’s a draw, depending on your tastes or mood one is better than another; I like both for what they are. Strictly in terms of SQ, Gilmore Lite is more technical but weaker, Play is more musical and much more powerful. Pick your poison my friends. To say what I was mighty impressed by the Burson Play would be a great understatement because it showed me that great sounding gear should not cost a fortune and many times it made the rethink my strategy regarding audio gear in general, because of the aberrant prices most of the gear is selling for. 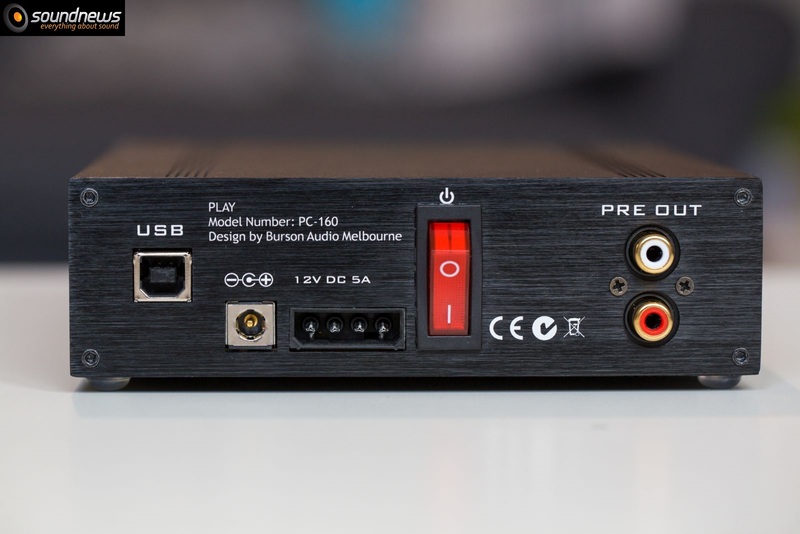 For a simple desktop DAC/Headphone amp used to play music, recording or gaming Burson Play gains my highest recommendation to this date. It is that good and some more. Salut! Excelent review, detaliat si foarte apropiat de cititor, ca de obicei. As avea o intrebare. Strict ca solutie desktop, ce ai alege pentru tine daca ai avea doar aceste variante? Burson, Mojo, iFi Audio xDSD sau Fiio Q5? Aveam dispozitie in acel moment si a iesit intr-o nota mai pozitiva. Urmeaza si varianta in romana. Referitor la intrebarea ta…depinde ce casti vrei sa amplifici, daca nu ai IEM-uri as alege Burson Play fara vreo remuscare, daca folosesti doar IEM-uri as folosi Mojo. Urmeaza un review la Hugo2 probabil pe saptamana viitoare, mi-a placut pe casti si mai putin pe boxe. 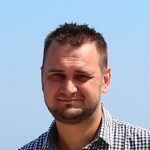 Mojo desi este rezolut si toate cele, suna claustrofob si prea in fata, scena larga nu gasesti pe Mojo si nici nu are puterea necesara pentru a conduce casti desktop mai greuceanu. Nu iti pot spune nimic de xDSD dar presupun ca nu este peste Micro iDSD care e bun dar nu excelent. 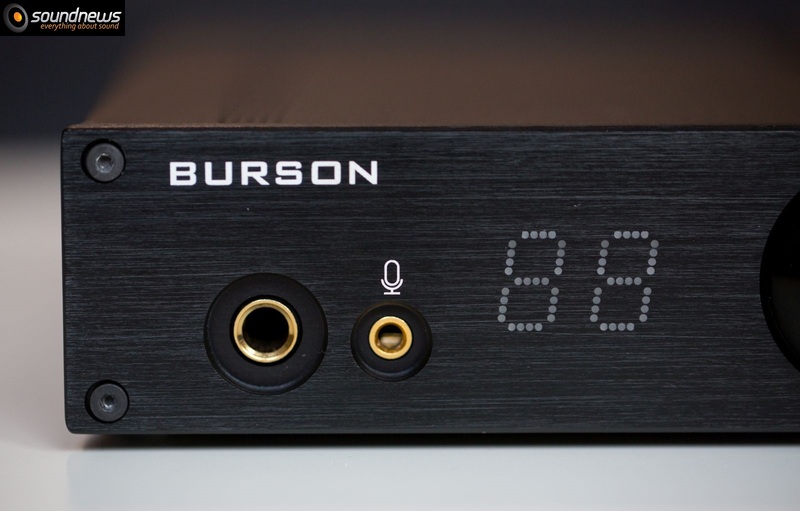 Burson Play m-a uimit, are 4 finali per canal!, 2 amplificatoare operationale la conversie si inca 3 la etajul de iesire/amplificare casti, asa ceva vezi numai la amplificatoare de la 10 kg in sus…nu imi vine sa cred ca e 300 USD/EUR. Merita cel putin ascultat. 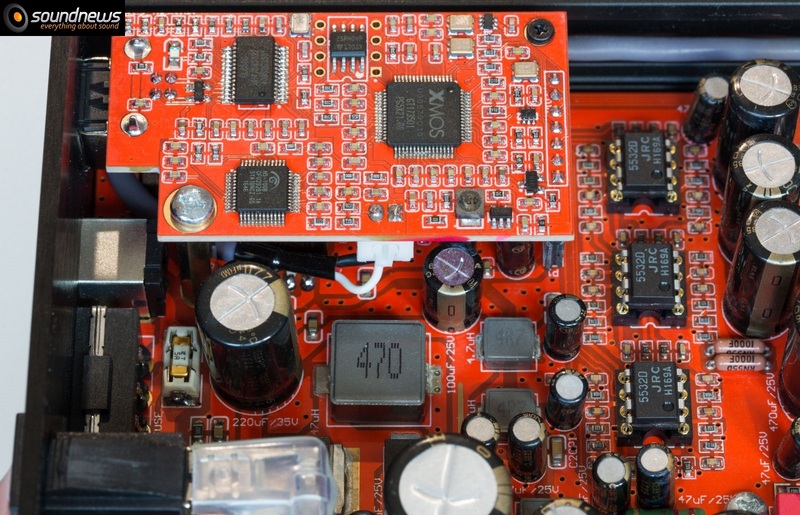 De fapt Play-ul are 3 OP-AMP-uri in partea de DAC – 2 in etajul I/V si unul pe post de filtru – LPF. Doar 2 sunt pe post de Gain ptr a ataca finalii. Oarecum singurul inconvenient la el este ca iesirea de linie este conectata direct pe iesirea de casti, in loc sa fie conectata la iesirea din LPF. Fara adaptori de impedanta, nimic. Asa ca te poti trezi cu 9V pe Line-Out daca nu esti atent. Ptr redare pe Line-Out, in functie de OP-AMP-uri trebuie setat pe la 45-49 nivel ca sa ai 2V iesire. Tot din cauza asta pot apare ceva probleme in functie de impedanta castilor – cei de la Burson recomanda sa ai conectat ori doar castile ori doar Line-Out. Am mai scris ceva detalii si in review-ul in limba romana. Voi lua in considerare sugestia ta legata de volumul pe iesirea Line-Out. Luna vitioare voi testa Bang si posibil Fun, revin cu impresii. Sunt ok ambele. Un pic cam scumpe ptr ce e in interior. Fun are practic acelasi etaj de amplificare din Play, dar cu o sursa mult mai buna. Bang-ul singurul inconvenient este ca e facut sa lucreze ori cu Play ori cu Fun pe post de pre-amp. Merge si cu alt DAC care are control de volum pe line-out. Daca ar fi avut pre-amp incorporat si mai multe intrari, la dimensiunile sale chiar ar merita.